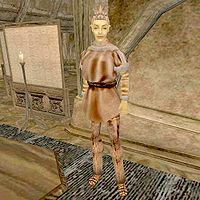 Imare is an Altmer nightblade who sells spells for House Hlaalu at the Hlaalu Council Manor in Balmora. Her services are available to non-members, though if you are a member of one of the rival houses, you may find that you are not very well liked in that particular location. This page was last modified on 22 March 2015, at 20:43.